Now you can see some of Africa’s most beautiful sights in the same trip! Explore Zimbabwe & South Africa on this eleven-day adventure, which features visits to the mesmerizing Victoria Falls & national parks full of fascinating wildlife native to Africa! Victoria Falls – One of the seven natural wonders of the world. Table Mountain – Ride the rotating cable-car up to Table Mountain where you will enjoy spectacular views from high above. Castle of Good Hope – 17th-century, historic fortress. Malay Quarter – See the colorful houses that line the streets of this well-known area of Cape Town. Hwange National Park – Known for its population of elephants. Arrive at the airport in Johannesburg, & transfer to the hotel. Spend the remainder of the day at leisure. Enjoy a day trip to Pretoria, where you’ll learn about the discovery of one of the world’s most sought after metals, gold. Before lunch, enjoy a visit to a mine. Other highlights of the Pretoria tour include visits to the Melrose House, a Boer War fort, the Kruger House, Historic Church Square, & the Voortrekker Monument. Return to Johannesburg for dinner & an overnight stay. Visit Soweto this morning to discover township life. Sightseeing highlights of the tour include Regina Mundi Church, the Mandela House, the Hector Pieterson Memorial, the Oppenheimer Tower, & Freedom Square. Afterward, transfer to the airport in Johannesburg, & board domestic flight to Cape Town. Ride the rotating cable-car up to Table Mountain where you’ll enjoy spectacular views from high above. 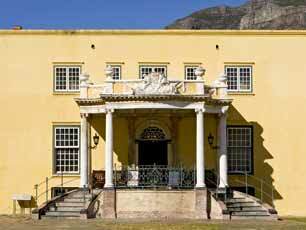 Other highlights of the Cape Town City Tour include visits to Diamond Works, the Malay Quarter, the Castle of Good Hope, the Milnerton Lighthouse, & the city centre. Spend the afternoon at leisure. Optional tours include Robben Island, where Nelson Mandela was imprisoned. Discover the beauty of Cape Point this morning. Highlights include Hout Bay, the Cape of Good Hope Nature Reserve, & Chapman’s Peak. After returning to Cape Town, transfer to the airport, & board domestic flight to Johannesburg. Enjoy dinner & an overnight stay. Board flight to Victoria Falls this morning. Upon arrival in Zimbabwe, transfer to the hotel. Tonight, enjoy a vibrant tribal dancing performance. Experience the spectacular Victoria Falls. You’ll be amazed as you gaze upon this natural world wonder. Enjoy a trek through the rain forest & a visit to David Livingstone’s statue. After lunch, discover local traditions during a visit to a nearby village. Next, take a tour of a crocodile farm, followed by a serene, sunset cruise on the Zambezi River. Travel to Hwange National Park today to discover its amazing wildlife! Enjoy safari game drives & safari walks throughout the park. Don’t forget to bring your camera, as this park is known for its population of elephants! Transfer to the airport in Johannesburg, & board domestic flight to Kruger National Park. Enjoy lunch upon arrival, followed by an afternoon safari game drive. Spend the day with the wildlife inside Kruger National Park. On the safari game drive you might see zebras, lions, leopards, & giraffes, amongst other animals. This afternoon, transfer to the airport, & board return flight to Johannesburg. Upon arrival, board connecting flight home. Botswana & Chobe Tour – See the breathtaking Victoria Falls, enjoy a safari game drive in Chobe National Park, & visit Hwange National Park.